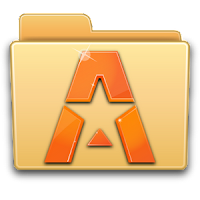 ASTRO File Manager / Browser Pro 4.2.459 – ASTRO helps organize & view your pictures, music, video, document & other files. 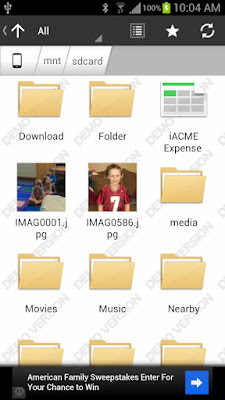 It’s like Windows Explorer or Mac’s Finder for your phone or tablet and allows you to easily browse and organize all of your pictures, music, videos and documents. It also gives you the ability to stop processes that burn battery life and backup your apps in case you lose or change phones. Personalize the look of ASTRO by downloading different colored icon sets using our “theme” feature! Please visit our new support portal for a Quick Start Guide, FAQ’s and Documentation. http://support.metago.net. 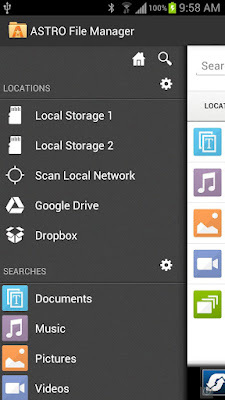 Download Android’s most popular file manager and choose from many icon sets and colors including v2’s “Classic” ASTRO look and feel. – Analytics: ASTRO users, we are gathering non-personal analytics (such as what functions are used the most) in order to better understand user behavior. We will use this so we can focus our development efforts in areas that our customers use often rather than functions that are not. If you do not want analytics, in the Pro Version you can turn analytics off.